Jaialdi is starting! Maybe, as you wander the streets, Kalimotxo in hand, you will hear an old timer (he might be my dad) speaking with his buddies in Euskara. Or you might hear some of those visiting musicians or even the Lehendakari himself, also speaking in Euskara. Or, even, some of those preschoolers who attend the only Ikastola outside of the Basque Country (who just got their own space, zorionak! ), talking to each other in Euskara. And maybe, you think, I’d like to learn a bit of that language, become a true Euskaldun, or possessor of Euskara. Well, to help you in your new-found desire to more deeply explore your Basque origins, here are two online resources. The aim of Mintzanet is to offer the possibility of practising Basque to everyone, without them having to leave the house. 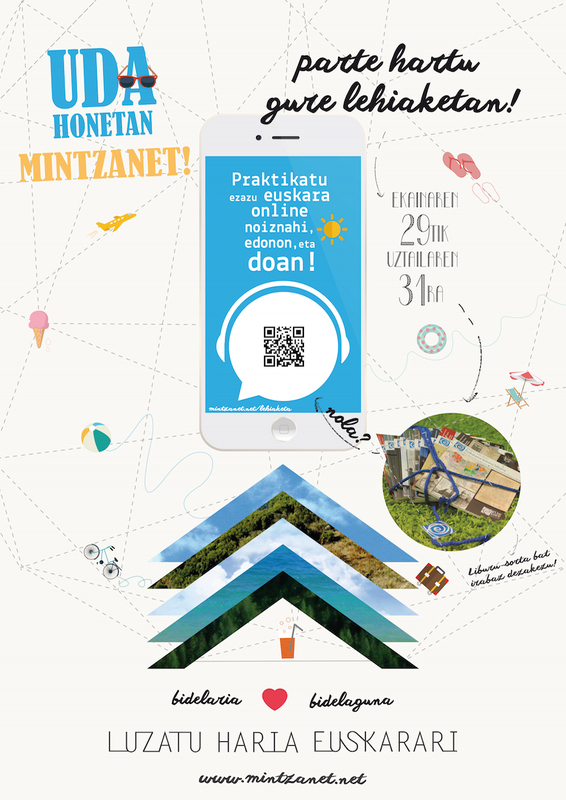 Anyone who wants to converse in this language, regardless of where they are in the world, will have the opportunity to do so as often as they wish through the website www.mintzanet.net. The initiative is completely free and is based on two pillars: the bidelaris and bidelagunas. The bidelaguna is a person who is proficient in the language and helps those who are studying. The bidelari, on the other hand, wants to learn and improve. Thus, the purpose of this initiative is to provide all Basque speakers, both those who live in the Basque Country and those living in other parts of the world, with an opportunity to practise. A minimum level will be required to ensure the possibility of basic communication (A2-B1). An explanation of the project is attached along with the flyer for the sharing of the information (which are in Basque). We currently have 250-300 participants and of these 20% are living abroad. Here you have the experience of a bidelari which we published on our website recently. She is Andrea Bella, from Uruguay. 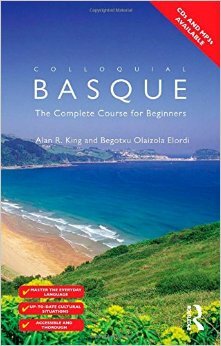 Right now we have more bidelaris (people who want to practise Basque) than bidelagunas (those who speak Basque). Our goal is that this free project continues to grow, and although our priority is to attract bidelagunas we also need bidelaris. Mintzanet essentially pairs two people, someone proficient in Euskara with someone who is trying to learn, and simply lets them converse in Euskara via the internet. You have to have some level of proficiency in Euskara (a minimal level) to participate, as you will be conversing with someone else in Euskara. This would be a great way to practice. With these two resources, you now have some great opportunities to learn and practice your Euskara!